Today, we are asking you to take positive action to help nature’s recovery. Wildlife is in crisis. Over half of UK species have declined since 1970 and 15% are now at risk of extinction. But the natural environment isn’t a nice-to-have: it’s critical for our survival as a species. We rely on it for the air we breathe, the food we eat and to keep our climate in check. In July, the Government announced that it would produce the first Environment Act in over 20 years. This is our chance to secure proper environmental commitments that will protect our vulnerable species and habitats. But the timeline is tight. We want to see legal targets for nature's recovery, with politicians required to achieve these and report against them regularly (e.g. safer air to breathe in our cities). We want a new system joined-up network of habitats that provide enough space for wildlife to recover and for people to thrive. 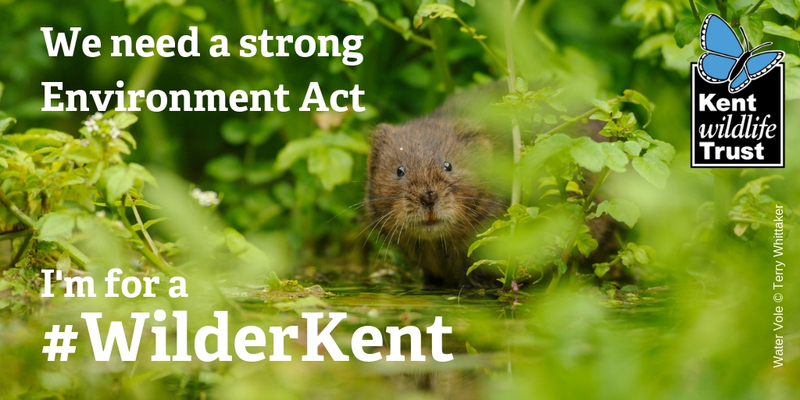 We want a new independent body to that can challenge Government and councils' decisions when they have a negative impact on wildlife and our natural environment. Now is the moment. By working together we can change the natural world for the better. By talking to your MP you can help them to understand the part they have to play in stopping the loss of wildlife and bringing more nature into people’s lives. Please ask your MP to support a strong Environment Act. Don’t have time to meet your MP? 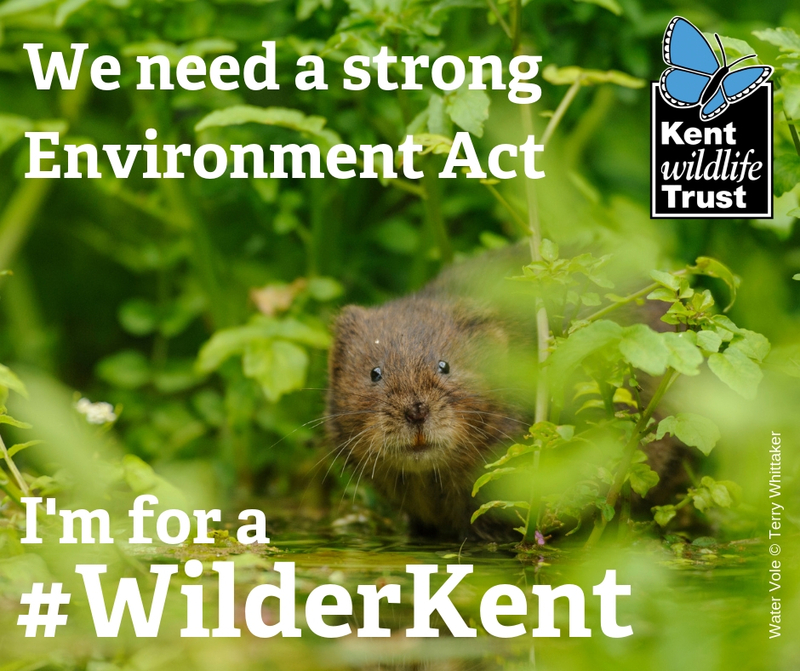 How would an Environment Act help wildlife in Kent? We need wildlife. Our natural world is valuable in its own right and is the foundation of our wellbeing - we depend on it and it depends on us. Without a healthy natural world, the survival of humanity is at stake. By creating more space for nature, we can create a better world for people and wildlife. Share your story. MPs love personal stories. Share yours with them, choosing experiences that have taken place in your local area and meant a lot to you. 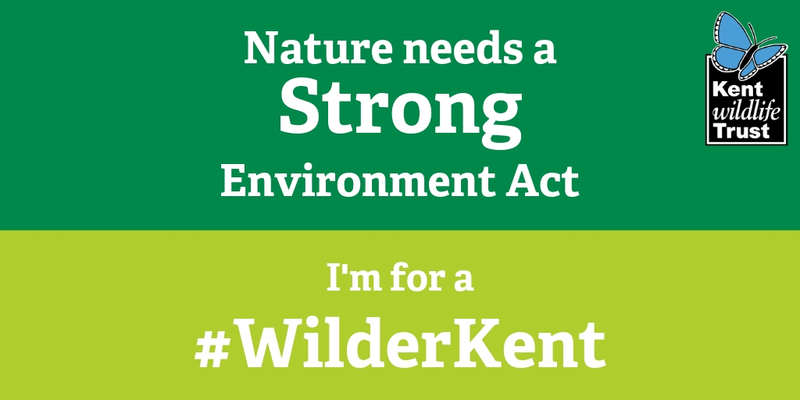 This way you can show your MP how much the natural environment in your area matters. Perhaps there are some moments shared with your Wildlife Trust or events you've attended that stand out? Can you think how even more wildlife in your area would help to improve it? Have a clear ask. To make your meeting as successful as possible, make sure you have some clear things to ask your MP to do for you. For example, you could ask them to write to their Party Leader e.g. Theresa May or Jeremy Corbyn, and their environment team to support an ambitious Environment Act for all the reasons shared above. You can also ask them what they think they can do to help make this happen too! Don't worry if you're not an expert. It’s your MP’s job to listen to you and you will probably know far more than them - just be passionate about the issue. After your meeting. We are incredibly grateful that you are representing the issues we face so please let us know how the meeting went. Also, why not drop your MP a short note or a tweet to thank them. 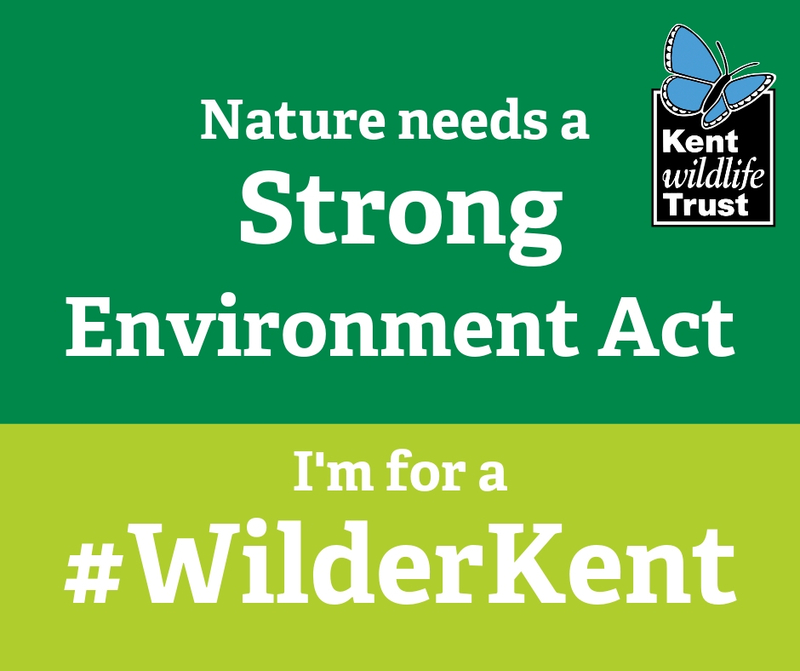 Finally, a big thank you from all of us here at Kent Wildlife Trust.